Take a tour of some of Kansas City's beautiful historic homes. Step back in time as they show what life was like in Kansas City during the 19th Century. The Kansas City area’s historic homes invite visitors to view elaborate decorations, magnificent artwork by regional artists and lavish furnishings. They also provide a glimpse of what life was like for pioneers and settlers of the 1800s. Six historic homes throughout the Kansas City metro offer visitor tours. Located in Independence, Mo. the Vaile Mansion was built in 1881 by local entrepreneur and U.S. mail contractor Harvey Merrick Vaile, this ornate 30-room mansion is one of the finest examples of Second-empire Victorian architecture in the country, according to Architect magazine. Colorful ceiling murals, extravagant furnishings, and whimsical detailing make the Vaile Mansion a must-see for any traveler. Tours are offered seven days a week through Dec. 30 and again April 1-Oct. 31. Admission is $6 for adults and $3 for children. 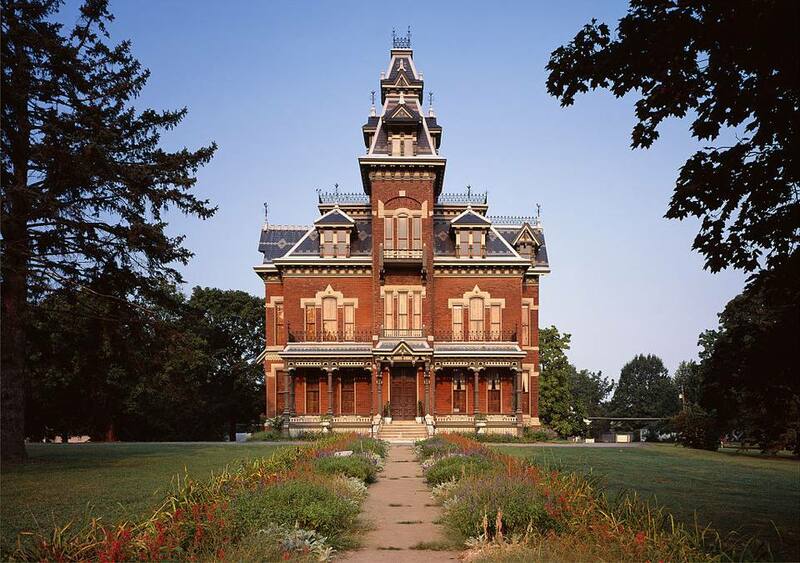 Weston, Mo's Victorian Benner House is a fine example of the “steamboat Gothic” architecture of the late 1800s. The double wrap-around porches, gingerbread detail and large windows overlooking the verandas enhance the spaciousness of the two-story home. All rooms are beautifully decorated with antiques and turn-of-the-century pieces. The Benner House is also a Bed and Breakfast. To schedule a tour of the Benner House, contact the Weston Historical Museum. The Strang Carriage House located in Overland Park, KS was renovated in the mid-1990s by the Overland Park Historical Society. The Strang Carriage House once housed the personal vehicles and chauffeur of William Strang, the founder of Overland Park. The limestone structure was built around 1910 and now serves as a resource center for visitors. Admission is complimentary and the house is open Tuesdays, Wednesdays, Thursdays, and Saturdays year-round. This Georgian Vernacular historic home was built in 1857 on the Delaware Indian Reserve in Kansas City, Kansas and may be the oldest farmhouse in Kansas. It was once home to Moses Grinter, one of Kansas ’ earliest pioneer settlers, who established the first ferry across the Kansas River. Visitors are welcome to tour Grinter Place and hear the stories of the Grinter family Wednesdays through Saturdays at a cost of $3 for adults and $1 for children. Built in 1858 by Kentuckian John B. Wornall, this Greek Revival-style home has been accurately restored to the period. Now in Kansas City ’s Brookside neighborhood, the John Wornall House is one of the most recognized in the Kansas City area. The home once sat on the Missouri frontier—200 feet from the main road that headed to the Santa Fe Trail. During the Civil War’s Battle of Westport, the Wornall House served as a field hospital for both Confederate and Union troops. Tours are available Tuesdays through Sundays a cost of $6 for adults and $5 for children. Located in Leavenworth, Caroll Mansion has beautiful stained glass windows and elegant antiques that only enhance your tour. This Victorian home was built in 1857 and was once home to Lucien Scott, president of the First National Bank of Leavenworth and vice president of the Kansas Central Railroad. Tours are available Tuesdays-Saturdays at a cost of $5 for adults and $3 for children.